Traudl Junge became famous after the film “Downfall” (German: Der Untergang) debuted in 2004, where she is actually the main character – a young secretary who witnesses the situation inside Hitler’s Bunker. 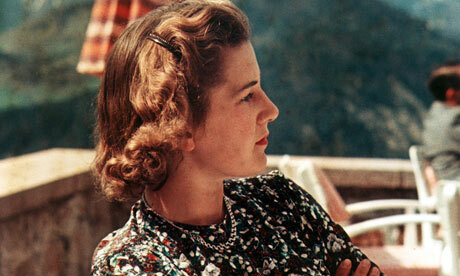 On this day the famous Traudl Junge, the youngest woman that Hitler hired as a private secretary, died. Namely, she started to work for the “Führer” in 1942 when she was only 22. She remained by his side until the end and was one of the last persons to leave the bunker in Berlin, and that was after Hitler was already dead and the Soviets had entered the city. Traudl Junge became famous after the film “Downfall” (German: Der Untergang) debuted in 2004, where she is actually the main character – a young secretary who witnesses the situation inside Hitler’s Bunker. Traudl Junge was born in Munich, the city Hitler was emotionally attached to (he started his political carrier in Bavaria). Her name “Traudl” is actually short for Gertraud. The detail that was not highlighted in the aforementioned film is the fact that Traudl, at Hitler’s incentive, married a Waffen-SS officer name Hans Hermann Junge and got the last name Junge from him (her maiden name was Humps). However, her husband died in combat the very next year. What has happened to her after the end of World War II? She was unable to reach the western Allied lines, and so she went back to Berlin under Soviet occupation. The Soviets interrogated her in great detail because she was a part of Hitler’s entourage. She spent a few months in jail and then was released. In 1946 she was allowed to move to Bavaria (the American Zone). The Westerners also questioned her about the events around Hitler, but she was then released to live freely in Western Germany. On two occasions she resided in Australia. In the end she died in her hometown of Munich at the age of 82, precisely on this day in 2002.